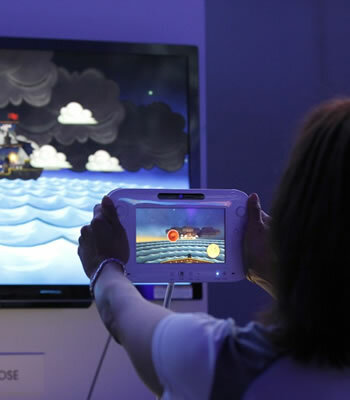 A couple million dollars worth of Wii U consoles were stolen at an airport this weekend. Speaking with ABC News, a police officer said the thieves drove two large diesel trucks into Seattle Air Cargo where a Nintendo distribution site is located. From there, the crew worked together to load the trucks with cargo from the warehouse using forklifts. The thieves took 64 pallets worth of product, with each pallet holding over one hundred consoles. The King County Sheriff's Office has confirmed that around half of the devices were white basic units ($300 each at retail) and the other half were black deluxe models ($350 each). With 7,000 consoles swiped, that's a rough value of $2.28 million. Those responsible for the theft remain at large and police have little information about them. Investigators wouldn't comment on whether they suspected the heist to be an inside job. For now, they're trying to find the vehicles involved. The above-mentioned semi-trailer trucks reportedly have the word "McKinney" printed on the side. Police are also looking for a Seattle Air Cargo box truck that the thieves took. Naturally, they're also on the lookout for suspiciously cheap Wii Us being sold privately on sites like eBay and Craigslist, which you can report by calling the King County Sheriff's office at 206-296-3311. "If we don't get any tips ahead of time, it will be the selling of these consoles that will lead to their capture," an officer told ABC News. "It's gonna be pretty hard to hide 7,000 Wii game consoles," the officer added. This theft follows a month after crooks stole two pallets of Apple's iPad mini by similar means: they rolled into the JFK International Airport with a semi, grabbed a forklift and helped themselves. They made off with nearly 3,600 tablets worth around $1.5 million, though it could've been worse as the thieves left behind three pallets after being spooked by an airport worker who returned unexpectedly.